The High Level Meeting was expertly moderated by MSNBC National Correspondent Joy Reid. UNICEF Executive Director Henrietta Fore opened the High Level Meeting, welcoming delegates to UNICEF House and committed her organisation to working with its global network of staff, partners and supporters – and with children and young people themselves – to protect the right to quality education for every child uprooted by conflict or crisis. UN High Commissioner for Refugees Filippo Grandi addressed called for countries to support hosting countries to include refugee children in their national systems. Born in Rwanda, Amelie Fabian was six when she and her family fled to Malawi as refugees. After successfully completing high school in 2014 she was selected to study in Canada through the WUSC Student Refugee Program. She now lives in Canada where she works for Deloitte as an accountant. Amelie talked about the importance of educational opportunity to her and the demand that refugees around the world place on education. 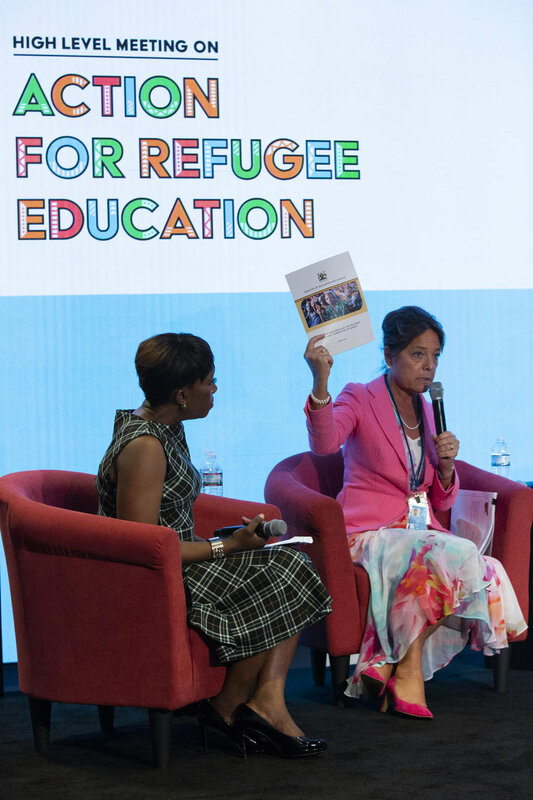 Maboub Maalim of IGAD and Sherrie Westin of Sesame Workshop listen in as Fouzia Warsame of the University of Somalia talks about the importance of opening up higher educational opportunities to refugees. 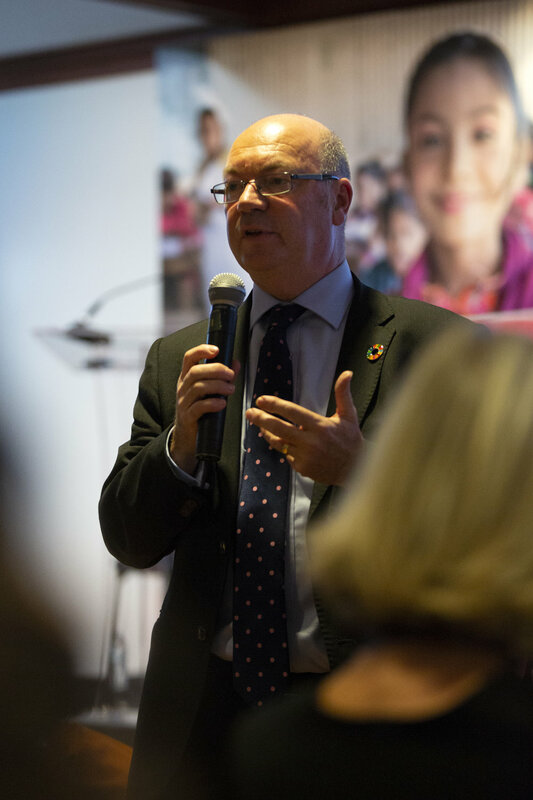 Alistair Burt MP, UK Minister of State for International Development and the Foreign and Commonwealth Office spoke about the UK’s support to increase education and psycho-social support to refugee children in the Middle East. 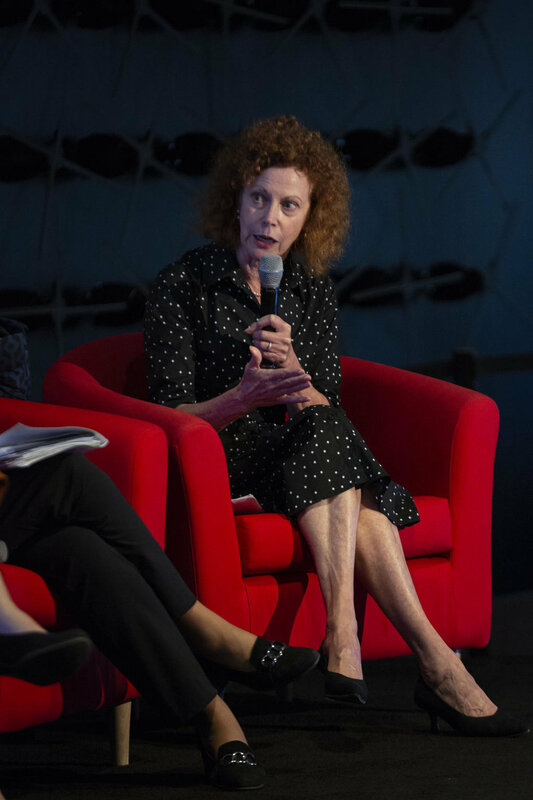 Carolyn Miles the CEO of Save the Children US speaking about the importance of addressing children’s social and emotional needs during the panel discussion on inclusive national systems which deliver quality learning outcomes. 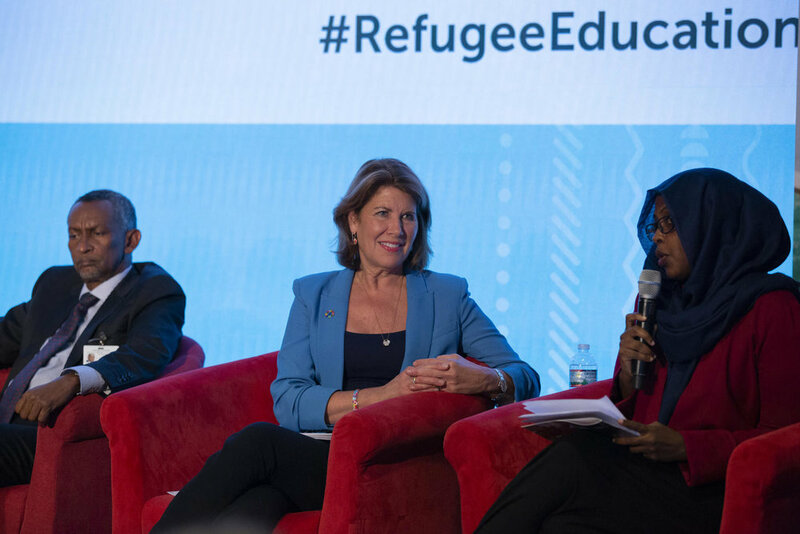 Susan Hopgood the President of Education International called for more and better support for host community and refugee teachers who are both essential to delivering good quality education in refugee contexts. Panellists during the High Level Meeting’s discussion on financing included from left to right, Yasmine Sheriff the Executive Director of Education Cannot Wait, Reha Denemec, Turkey’s Deputy Minister of National Education, European Union Commissioner for Humanitarian Aid and Crisis Management, Christos Stylianides and Canadian Minister for International Development Marie Claude Bibeau. Alice Albright CEO of the Global Partnership for Education outlines GPE’s efforts to support partner countries develop and implement national education sector plans that include refugees. Director of UNESCO’s Global Education Monitoring report spoke about the forthcoming report on education and displacement. He made a plea to donors to provide more transparent data on humanitarian and development funding allocated for refugee education. 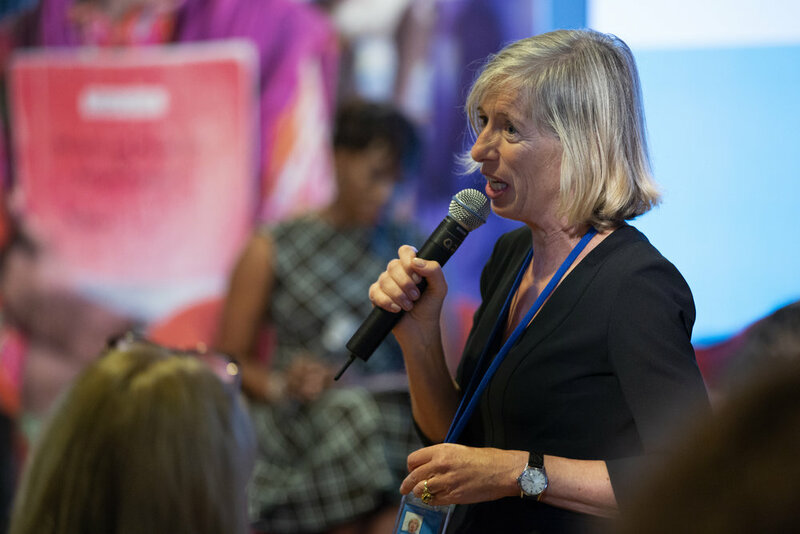 Mary Snapp Corporate Vice President at Microsoft Philanthropies set out Microsoft’s commitment to supporting quality education in humanitarian contexts. Yasmine Sheriff the Director of Education Cannot Wait: the fund for education in emergencies holds up Uganda’s Multi-Year Education Response Plan. Earlier in the week ECW provided $11 million of seed funding to support the implementation of the plan. Amanda Gardiner Pearson’s Vice President of Global Sustainability and Social Innovation talks about the company’s Every Child Learning partnership with Save the Children which is delivering an innovative project for refugee and host community learners in Jordan. Hassan Jameel the President of Community Jameel, one of the largest and oldest foundations in the Middle East, announced a partnership with MIT to improve and transform education across the globe, with their first initiative tackling strained education systems across the Middle East due to the Syria conflict. 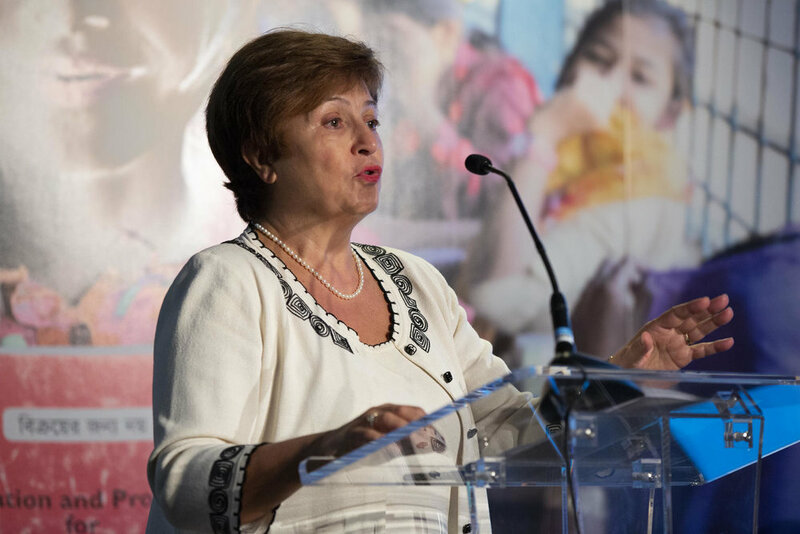 World Bank CEO Kristalina Georgieva set out the Bank’s commitment to supporting refugee hosting countries, including via the Bank’s IDA18 regional refugee sub-window. 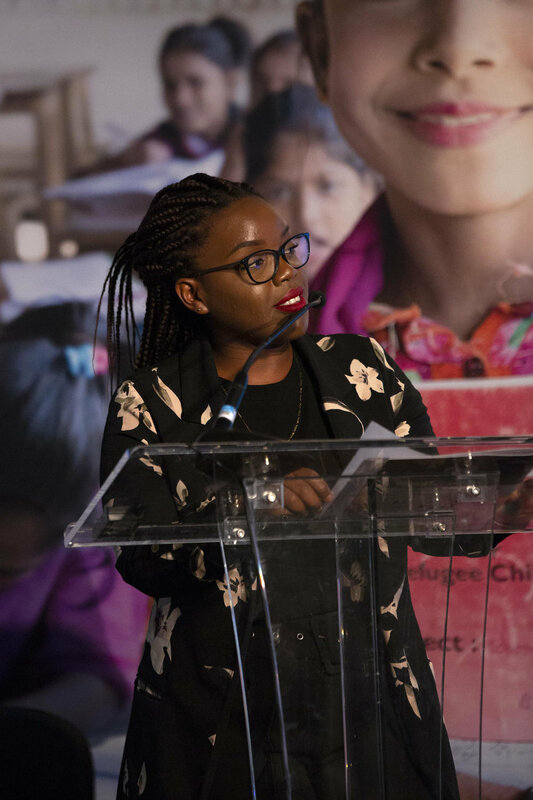 Foni Joyce Vuni, the co-chair of the UNHCR’s Youth Advisory Council, speaks during the closing session. Originally from South Sudan, Foni Joyce lives in Kenya. She graduated from Jomo Kenyatta University with a degree in mass communication, with first class honors. She studied on a DAFI scholarship, obtained through UNHCR. CEO of Save the Children, Helle Thorning-Schmidt closed the High Level Meeting with a passionate plea for the world to do more to ensure every last refugee child has the chance to go to school. The closing session was addressed by Helle Thorning-Schmidt of Save the Children. Seated from left to right Joy Reid MSNBC National Correspondent, Kristalina Georgieva World Bank CEO, Jens Frølich Holte State Secretary Norwegian Ministry of Foreign Affairs, and Foni Joyce Vuni of UNHCR Youth Advisory Council. Amelie Fabian talks with attendees at the High-Level Meeting on Action for Refugee Education. 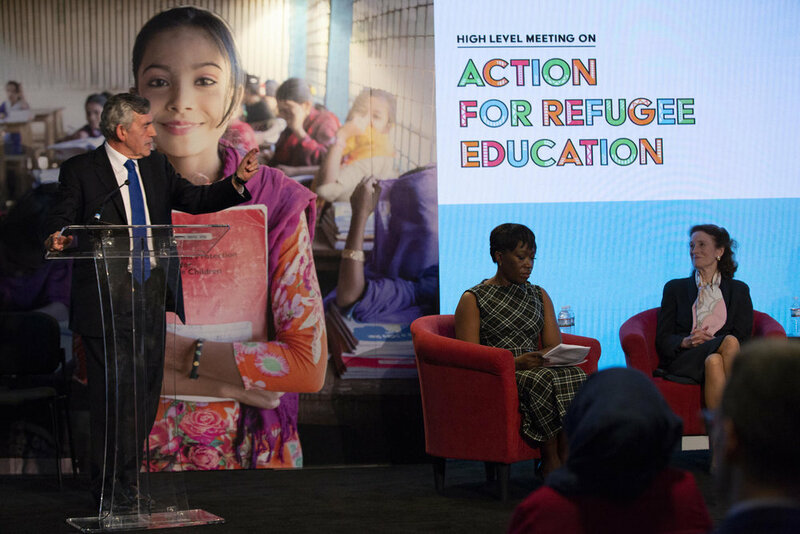 Jamie Saavedra talks with attendees at the High-Level Meeting on Action for Refugee Education.